Jolla is now fulfilling the pre-orders across Europe and the first Sailfish-based smartphones are already on their way to eager owners. Most of Jolla's pre-orders came from the phone's homeland Finland, with UK and Germany following in the list. Jolla went on sale in Finland on November 27, just as promised. Unfortunately there were only 450 units available for purchase and most of them went to those, who pre-registered their interest a long time ago. 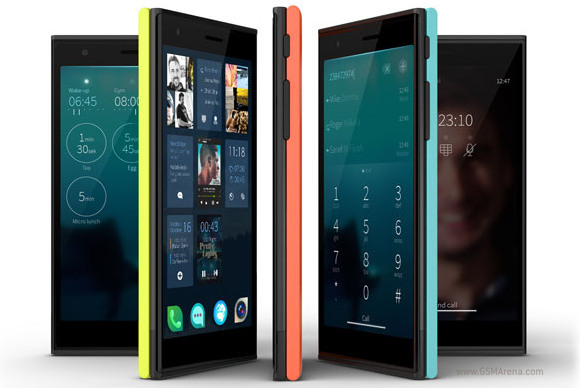 Jolla will become available worldwide for €399 after all the pre-orders are fulfilled. There is still no information on when this will happen though. Still Jolla's first phone has a pretty decent start and it may be able to make an impact after all. Jolla was founded by ex-Nokia employees, who left the company after it shifted focus to Windows Phone and dropped all MeeGo plans. The Sailfish OS is based on MeeGo and is compatible with lots of Android apps through the pre-installed Yandex store. HERE Maps is also available by default. Yes...i know the story...but Jolla as a product has nothing to do with WP.